Hi, it’s Angie here today with some inspiration for this month’s Watercolor Challenge. Hope you can join the fun – you might even be the lucky random winner! 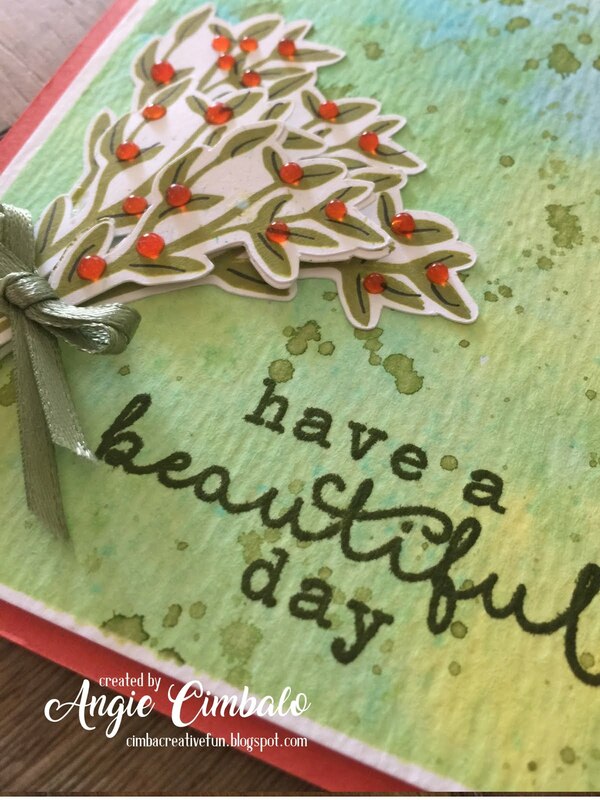 I used the mistletoe from the new Hero Arts Holiday Ornaments Stamp and Cut along with a sentiment from one of my favorite Hero Arts sets – You’re So Lovely stamp set to make this card for a family member. I stamped the mistletoe with Distress Inks, then die cut them and stacked them on top of each other. I added Nuvo drops and twine to finish that part off. I used lots of Distress Inks and water to watercolor and splatter the Tim Holtz watercolor paper panel then when it dried I stamped a large older background stamp from Hero Arts called “Large Plaid Panel” across the top. (I should have done that first, but since I forgot, I used post it notes to mask off the white edge so I didn’t get the plaid on the white edges!) Then I trimmed it down just a little and adhered it to the card base after it dried. I added the mistletoe bundle and stamped the sentiment with my Misti. I usually stick to really clean and simple designs, and this was busy and out of my comfort zone, but I kind of like it. It’s always good to try to step outside your comfort zone, you never know, you may discover something new that you really like! Categories: Challenges, Friendship Cards, Handmade Cards, Hero Arts | Tags: background stamp, holiday ornaments stamp and cut, nuvo, plaid, ribbon, splatters, Watercolor, Watercolor Paper, you're so lovely | Permalink. Hi there, it’s Angie here today with a couple of fun cards for you! I think I really have a thing for stencils so today I used a stencil and stamp combination technique. I used the stencil with some inks and then moved it over slightly and inked it again in different colors, to give it a different look. Then I stamped the tiny stars and hearts in the center of each Asian flower. I used: Hero Arts Bold Asian Flower Stencil, Distress inks, Gina K heavyweight card stock, Hero Arts You’re So Lovely stamp set (for the hello), and the Hero Arts Love Little Heart stamp (Love sentiment), From my stash I used some star dies, a scalloped stitched rectangle die, and a few tiny heart and star stamps. Hope you enter a project in the Anything Goes Challenge this month at a2zscrapbooking! 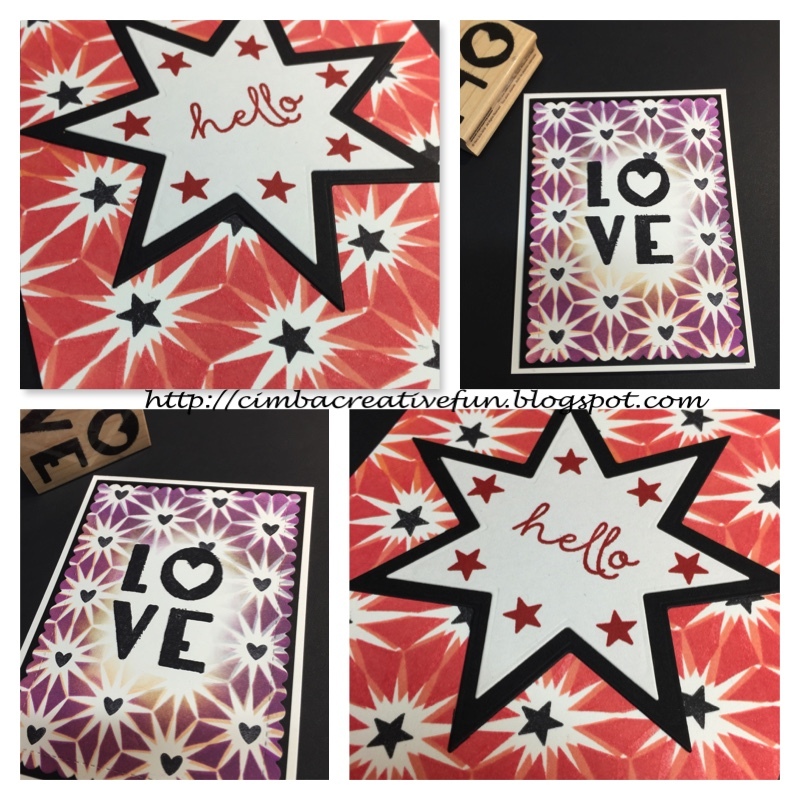 Categories: anything goes, Challenges, Handmade Cards, Hero Arts, Stencil | Tags: asian flower stencil, distress inks, Hearts, Hello, love little heart, stars, stencil, you're so lovely | Permalink. 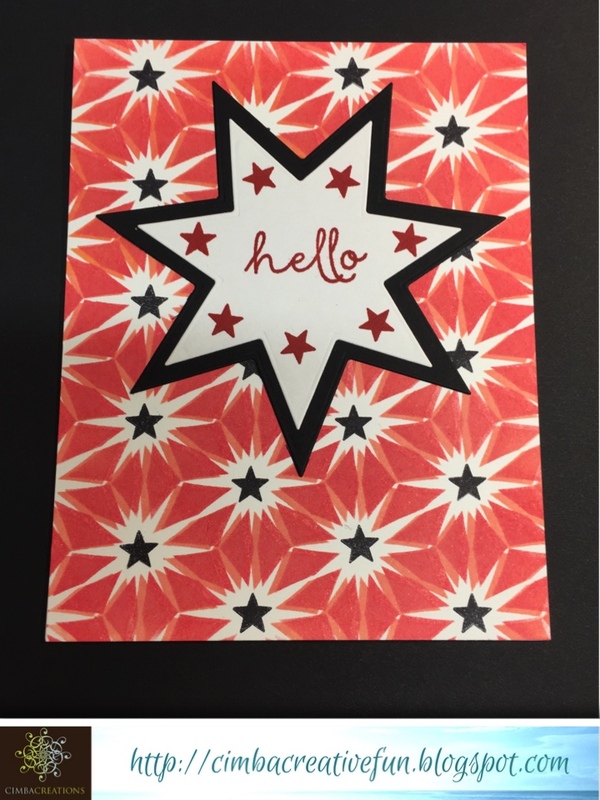 Hi, it’s Angie here with two fun cards made with Hero Arts products! First I started with Gina K Designs Premium card stock. If you haven’t tried this card stock you are missing out! It’s available in the store and it’s 120 lb. weight and just as smooth and creamy as you can possibly imagine! I used ombre ink and an ink dauber with the stencil to make this cool background, then cut the daisy out of the center. I cut a white and black one two so I could insert it into the bigger flower die opening. The sentiment was heat embossed and popped up on the flower petals. My complete list of supplies is below! Please join us in this months “Take Shape” challenge for your chance at a $25 gift card to the a2z store. Our current monthly challenge can always be found in the menu bar, and runs from the 1st to last day of the month. But you can also do this technique with this Hero Arts Paper Layering Mum Die ON SALE! Categories: anything goes, Challenges, Embossing, Handmade Cards, Hero Arts, Stencil | Tags: asian flower stencil, embossing, embossing powder, Gina K Designs premium white card stock, ombre spring brights, you're so lovely | Permalink. Hi friends – happy, happy HUMP day – said in my best camel impersonation voice! Hope you are having a great week! This month we are focusing on sentiments but I couldn’t help but break out these GORGEOUS color layering poppies for a clean and simple card! I stamped the flowers with 3 colors of distress inks (listed below), then added some shading with Prismacolor pencils. 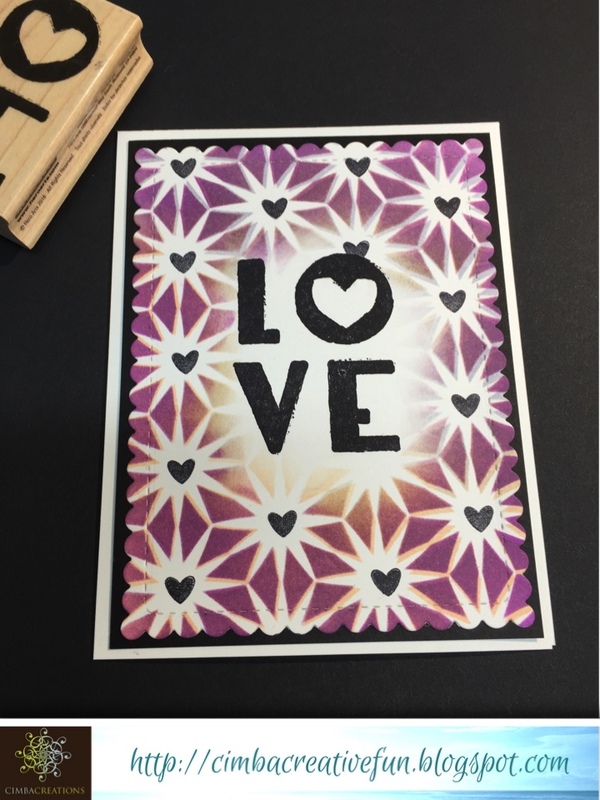 I stamped the sentiment from You’re So Lovely in Hero Arts Intense Black ink, splattered on some watered down paint, added some washi tape and called it good! Thanks for poppy-ing in (HA, see how I made that work); hope you’ll join our challenge this month, we love seeing your creations! And don’t forget, most of these items can be purchased from the a2z Scrapbooking Etsy store, you can save 15% by using code: MicheleG15! Categories: Clean and Simple, color layering, Flowers, Handmade Cards, Hero Arts | Tags: CAS, clean and simple, Flowers, Hero Arts You're So Lovely stamp set, Layering Poppy, Poppy, Washi Tape, you're so lovely | Permalink. Hi Friends! Kristina here today with my favorite card style ‘Clean and Simple’! I used the Hero Arts “You’re So Lovely” stamp set to create this quick and easily reproducible notecard. Just switch out the sentiment and you could have a set of versitile cards ready to go. I love this stamp set because its perfect for all occasions, and has a few different sentiments, but could easily be paired with others. Don’t forget to share your favorite things via our April Challenge “Getting to Know You”. Create a project using your favorite Hero Arts projects and link it up by months end for you change to win a $25 gift card!! Many of the products used here can be found in the a2z scrapbooking store AND hows about 15% off? Use my discount code KRISTINA15 for 15% off your order of $25+. Psst…. The Hero Arts You’re So Lovely Set is on sale right now!!!! Categories: Clean and Simple, Handmade Cards, Hero Arts | Tags: blue, Kristina, Lovely, you're so lovely | Permalink. Happy New Year, friends, it’s Chark here today to share two card versions with the You’re So Lovely stamp set. I think this set is fun and versatile and so I decided to see if I could come up with two different looks. In this first card, I did more of a traditional look. I stamped first in Unicorn White on kraft to get a base and then colored on top of the dry white ink with watercolor pencils. I added just a touch of water to spread the color. After that dried, I added white gel pen swirls and dots and some blue Gelato that I spread with my finger and added some teeny pearls. My second card is stamped almost exactly the same…I used the same positioning and the same Unicorn ink, this time using blue cardstock and then adding no coloring. I did add a little white gel pen for accents. I thought this turned out pretty well…and definitely different! I hope you’ll join in our January Challenge of Anything Goes with your Hero Arts products to try to win the $25 gift code to the store! Categories: anything goes, Challenges, Clean and Simple, Flowers, Handmade Cards | Tags: blue and white, chark, Flowers, kraft, white ink, you're so lovely | Permalink. 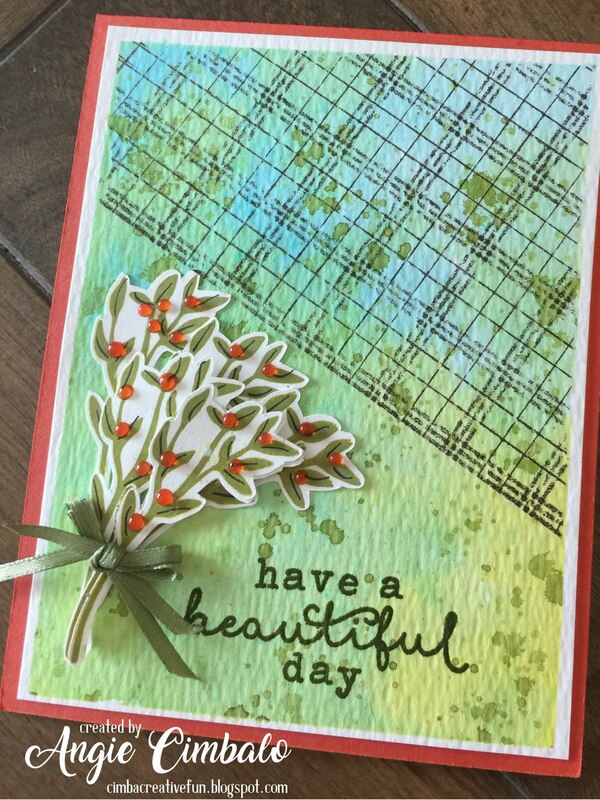 Hi, friends, Chark here today with a simple stamped card using the You’re So Lovely Flower Stamps. I wanted a stamp with lots of surface area so I could use the new Bold, Hybrid Hero Arts inks. I used Strawberry, Tangerine, Pine and the Ombre Neon Chartreuse to Blue. I did some masking, which worked fine for putting all the leaves in the background. The center of the flowers is the new Nuvo Ruby Slippers Glitter Drops. Here they are in close up. I’m not a huge ink hoarder but I do looove the richness of the Hybrid Inks. Categories: Clean and Simple, Flowers, Friendship Cards, Handmade Cards, One Layer | Tags: chark, coffee hop, Flowers, giveaway, One Layer, you're so lovely | Permalink.